We are pleased to invite you to participate in the International Symposium on Advanced Engineering Technologies (ISADET) which has been scheduled to take place in Kahramanmaraş between October 11th and 13th, 2018. Over one hundred scientists and researchers from twelve different countries have been invited to participate in ISADET. We kindly hope that ISADET will be used for exchange of information, networking and strengthening of our connections. 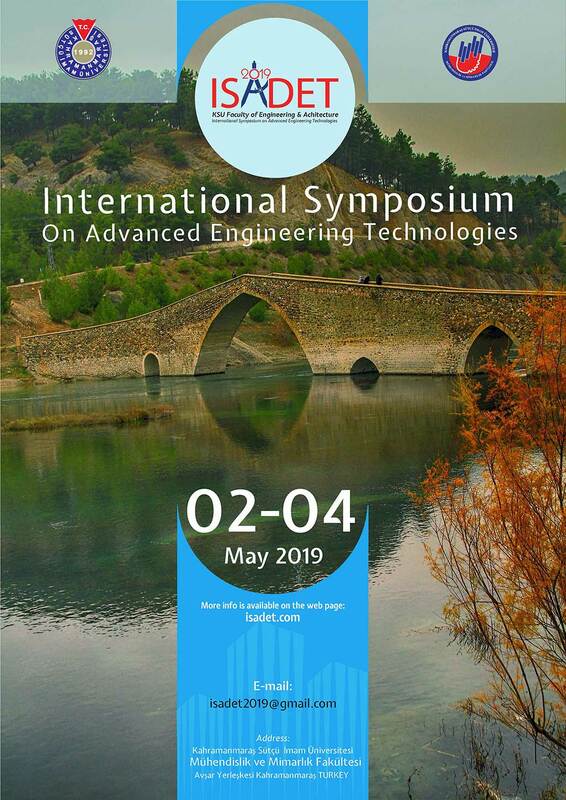 The symposium will include oral and poster presentation sessions from the participants on different subjects related to Engineering Technologies. Presentation language will be Turkish or English. For more information about symposium organization and topics please check our website. We wish you all a very warm welcome to Kahramanmaraş in October, 2018.